This post originally appeared at the Sahel Blog. Last May, two Europeans were kidnapped in Kebbi State in Northwestern Nigeria. News of the victims after their disappearance was always scanty – a video and other rumors purported to link the kidnapping to Al Qaeda in the Islamic Maghreb (AQIM) and/or another Al Qaeda group, but the evidence of Al Qaeda’s involvement never seemed conclusive to me. Then, yesterday, tragic news broke that the two men had died during a failed rescue attempt in Sokoto (Sokoto State borders Kebbi State). That attempt was apparently led by British special forces. When the news broke, speculation began immediately that the rebel sect Boko Haram was behind the kidnappings. Many also see the kidnapping as evidence of a tie between Boko Haram and AQIM. This would mark the first kidnapping in Nigeria where Boko Haram’s involvement was proven. Kidnapping Westerners is a frequent tactic of AQIM. Britain’s Foreign Office confirmed two men were held by terrorists associated with Boko Haram, and a senior British government official said the kidnappers appeared to be from an al-Qaida-linked cell within Boko Haram, but not within the group’s main faction. Nigerian President Goodluck Jonathan has also stated that Boko Haram was behind the kidnapping. Arrests of alleged Boko Haram members followed the gun battle during which the hostages died. Excellent coverage of news surrounding the kidnapping has been provided by the BBC and by former BBC correspondent Andrew Walker at his blog. I have only three thoughts to offer on this event. The first is that any doubts about whether it really was Boko Haram that kidnapped the Europeans – doubts that stem from the facts that Kebbi is far outside Boko Haram’s normal zone of operations, that Boko Haram never seems to have kidnapped a Westerner before, or that communications from the kidnappers never seemed to fit with the style of either Boko Haram or AQIM – may be swept aside as the narrative takes hold that this kidnapping was a Boko Haram operation, full stop. There are, indeed, many possible explanations that deserve consideration, ranging from the possibility that the kidnappers were opportunistic criminals to the possibility that they were copycats to the possibility that it was Boko Haram itself, or a splinter group. Those complexities, uncertainties, and nuances may now be ignored. Perhaps more importantly, the idea – or the reality (because I really don’t know) – that Boko Haram is kidnapping Westerners will play into larger narratives about what kind of threat the group poses to Nigeria and to the West. See one example here. If those narratives are built on shaky assumptions, they will skew outside understandings of the situation in Nigeria. My second thought is more of a question: Are armed rescue attempts worth it? Armed rescues have succeeded elsewhere, but their recent record in the Sahel is one of tragedy. In that vein, this article from the BBC, “Italian anger at UK over rescue bid,” is worth reading. And my final thought is that the deaths of these Europeans bode ill for the German engineer kidnapped in Kano in January. He was kidnapped the day that I left that city, and he has been in my thoughts. I hope that he is alright, and that he will be free soon. But yesterday’s events cast a shadow over his captivity. Is al-Qa’ida in the Islamic Maghrib Gaining Influence in Libya? One of the biggest questions and worries the past year in Western counterterrorism circles has been about how the MENA uprisings would affect al-Qa’ida. Many pointed to the uprisings as evidence that the citizens of the MENA were not only shedding off the yoke of tyranny, but also discrediting al-Qa’ida. On the other side of the debate were those that believed that it would provide the impetus for jihadis to take over. Throughout the past ten months I have maintained that one would see something more in between these two visions and that one should focus on the internal dynamics of each country. The three countries that have worried me the most are Yemen, Syria, and Libya. Gregory Johnsen has done a great job keeping everyone updated on al-Qa’ida in the Arabian Peninsula’s evolution and advances in Yemen. Additionally, I have a forthcoming post at al-Wasat about the potential for jihadi penetration in the Syrian theater if the country does indeed devolve into a civil war. This post will therefore only focus on Libya and al-Qa’ida in the Islamic Maghrib’s (AQIM) outreach to Libyans since the beginning of the Libyan uprising in February. Indeed, I believe Lebovich’s argument has many merits, yet it is only one aspect of the broader picture. It is also worth noting AQIM’s media strategy since the beginning of the Libyan conflict. It is also necessary to re-visit and reassess how the Iraq jihad played a role in the Libyan jihadi community. Although AQIM is known for its history in Algeria and its attempts in recent years to infiltrate and gain influence in Mauritania, Mali, and Niger since the beginning of the MENA uprisings AQIM has zeroed in on Libya as if they smell blood in the water. Prior to the MENA uprisings AQIM (to my knowledge) never released anything dealing with Libya specifically. Since the beginning of the MENA uprisings, AQIM has released seven statements and/or videos related to the uprisings. Four of which dealt with Libya, two on Tunisia, and one related to Algeria (see chart below). It is crucial to point out that the releases on Tunisia and Algeria were all published in January. Therefore, all of AQIM’s focus on the MENA uprisings since late February — when they released their first statement on the then impending Libyan civil war — has solely dealt with Libya. This shows a genuine interest by AQIM in the Libyan theater and potentially, though not definitely, a calculation that they could make inroads. At first, I had trouble accepting that AQIM could possibly make any inroads in Libya. One of the main reasons has to do with the Algerians’ checkered past with the Libyans during the 1990s in the age of the local jihad. It is beyond the scope of this post to get into detail about it, but I would suggest reading Camille Tawil’s excellent book Brothers In Arms: The Story of al-Qa’ida and the Arab Jihadists, which provides rich detail of the issues between the GIA (Groupe Islamique Armé) and the LIFG (Libyan Islamic Fighting Group) during the Algerian civil war. To put it mildly the Libyans had a bitter taste in their mouth toward the Algerians. Another reason that led me to initial skepticism was that the LIFG underwent revisions in the latter half of the previous decade, which to a certain extent moderated the leadership and members who were jailed in the group. It also does not also necessarily account for Libyan foreign fighters in the Iraq jihad, though. According the Sinjar Records, which should be taken as a random sample of foreign fighters at the height of the Iraq jihad, the average age of the fighters were 24‐25 years old and the median age was 22‐23 years old. This would suggest that the Libyan fighters that survived the fight and did not become a suicide bomber or die in battle and returned to Libya were too young in the 1990s to get caught up in the arrests and sweeps against the LIFG. It would also suggest that the LIFG did not necessarily have sway ideologically on this new generation of Libyan jihadis. Moreover, the revisions were done with explicit coordination with the Qadhafi regime, which in the current environment calls into question those that engaged with that regime. It will also test al-Qa’ida’s current amir Dr. Ayman al-Zawahiri’s theory that the revisions by the LIFG as well as others in Egypt and elsewhere were insincere based on pressures from various regimes. Either way, it could be argued that two ideological trends were taking hold simultaneously within the Libyan jihadi community. The first generation of Libyan jihadis were “moderating” their doctrine while the second generation was exposed to the virulent ideology of al-Qa’ida in Iraq. This twin phenomenon would have been masked by Qadhafi’s suppressive policies, which have only been exposed since his fall. It should be noted that this does not necessarily provide wholesale proof that there is going to be some type of jihadi takeover of the Libyan government. That said, there are new data points that should be analyzed in light of the previous paragraph. It was pointed out to me Sunday on Twitter by al-Jazeera journalist Gregg Carlstrom that the admin of the official Facebook page of the Libyan uprising (17 February Intifada) posted AQIM’s most recent video message from Shaykh al-Hasan Rashid al-Bulaydi. This is no doubt a worrying sign. Additionally, this past Friday a picture in Benghazi that showed the old al-Qa’ida in Iraq flag hanging over a court building raised some alarms in the media. My initial reaction was that it most likely was a souvenir from the Iraq jihad and that it may not seem as much of a provocation as many would think since it has the shahdah (Muslim testament of faith) on it, which could signal the renewal of Islam in society. On Sunday the jihadi forums posted two videos of a caravan of cars and then marchers carrying similar flags as well as others linked to AQ. This made me rethink my initial reaction to the flag controversy, which led me to what I believe is a more nuanced take in the paragraph above that outlines how Libyan foreign fighters were exposed to AQI’s ideology. Although the LIFG’s trajectory following the Libyan uprising appears to conform to their moderation during their revision process since they have changed their group name to the Libyan Islamic Movement for Change, the second generation of jihadis now that Qadhafi is dead are slowly flexing their muscle in a society rife with violence, revenge, and potential tribal war. There are still many blind spots and it is too early to conclude anything definitive, but further influence of AQIM should be watched closely. Francophone African news coverage has been rather preoccupied with the news that Nigerien Presidential Guard forces this week intercepted a convoy of three 4X4 trucks in the north of the country not far from the uranium mining town of Arlit, destroying one truck and capturing another that had been abandoned, reportedly seizing nearly 640 kg of military-grade Semtex and hundreds of detonators in boxes stamped “Libya”, as well as nearly $90,000 in cash. While Nigerien authorities originally announced that their troops had engaged “armed bandits,” it’s becoming increasingly clear that the trucks were either driven by arms traffickers with suspected links to Al-Qaeda in the Islamic Maghreb (AQIM), as Radio France Internationale has reported, or directly by AQIM elements, as reported by Jeune Afrique and a Nigerien official close to the country’s president. An Arab fighter was killed in the exchange, identified by the latter as a “barbu” a standard term for Islamists, and a former fighter in the Nigerien Tuareg MNJ (Mouvement des Nigériens pour la Justice), which has waged several rebellions against the government in the past, surrendered to the Nigerien authorities on June 15. While many of the details of the exchange remain confused and incomplete, the seizure of the explosives and detonators provide the first hard evidence that Libyan weapons are flowing out of the country and into the Sahel. Officials in the region as well as Europe and the United States have been warning about this nearly since the conflict in Libya began, news which made me rather skeptical, especially since much of the concern seemed to be coming from Algerian and Chadian officials, both of whom have other concerns about the instability and Western engagement in Libya. But this most recent incident seems to confirm the reports that weapons are leaving Libya through long-actve smuggling routes in the country’s south that traverse the relatively unpopulated and under-secured region north of Nigeria, routes which run south and west, crossing Mali and heading into West Africa. The surrender of the trafficker and fighter Apta Mohammed is one of the more fascinating details of this story. Mohammed reportedly served as a “guide” for the convoy, and while his involvement could be an isolated instance of Tuareg involvement in weapons and other smuggling, it could also presage more troubling developments. Setting aside for a moment the potential AQIM involvement, Mohammed’s presence as part of the convoy could indicate an increasing involvement of former Tuareg fighters in the arms trade in the region, raising the possibility of more money and advanced weapons flowing into Niger’s north, which could upset the rather delicate balance that has held in the region since the most recent Tuareg uprising was settled in 2009. The North is already coping with the return of tens of thousands of Nigeriens (some Tuareg, some not) fleeing the instability in Libya, some of whom may have fought as “mercenaries” for Qaddafi. Again, this situation has been getting very short shrift in the anglophone Western press, but instability in Niger’s north could cause nasty problems in the Sahel and southern Libya, and deserves more attention. Turning to the AQIM connection, rumors circulated just after the kidnapping of seven employees of the Uranium giant Areva and a subcontractor in Arlit last September that AQIM had been poking around the Aïr Mountains and making inroads among the Tuareg. The possibility of Tuareg cooperation with – or worse, membership in – AQIM caused a fair bit of concern at the time, though evidence of Tuaregs actually joining AQIM has been pretty slim. However, this most recent incident seems to indicate at least limited connections between AQIM and traffickers in the region, a fact that could pose another risk of instability; AQIM has quite a bit of money to throw around, accrued from kidnapping, the drug trade, and quite possibly the weapons trade as well. Given the crowded and increasingly dire situation posed by the region’s refugee crisis, AQIM could take advantage of the situation to stage a recruiting drive. Now, this is far from certain, as there is no evidence that AQIM has nearly the local connections or recruiting presence that it does in Northern Mali (in Timbuktu, for instance, they are said to openly advertise on walls) or in Mauritania, from where the organization has drawn a few hundred recruits in the past several years. But again, something to watch. Which brings us, finally, to AQIM itself. When reports first emerged in April that AQIM had taken advantage of the disarray in Libya to seize high-quality heavy weapons, including anti-aircraft artillery and SAM-7 missiles, I argued (and still believe) that the weapons were likely intended not for attacks against military or civilian aircraft, but instead to defend AQIM camps against raids by Western Special Forces, most likely those who wear the bleu, blanc et rouge. However, Semtex, detonators and military-grade explosive devices are another game entirely. For the past several months AQIM has been relatively quiet, aside from a brief spate of unusually deadly attacks against Algerian security forces in the country’s north. However, these weapons, aside from their obvious resale value to a number of interested groups in the region, could be used to restart a terrorist campaign in the Sahel, especially as Mauritania and Mali have tightened their counterterrorism relationship recently, and Mauritania has made it abundantly clear that they intend to go after AQIM camps in Mali. The problem with this is that despite the group’s very clear hatred of Mauritanian President Ould Abdel Aziz and desire to see him dead, AQIM in the Sahel has been limited in its terrorist ambitions by a lack of targets and huge open spaces that need to be traversed in order to wage any attack. And Mauritanian forces seem to have gotten increasingly good at disrupting AQIM operations, as evidenced by the botched attempt in February to kill Abdel Aziz in which Mauritania’s security services tracked a small AQIM convoy from the time it crossed the border with Senegal, eventually cornering one bomb-laden truck which spectacularly exploded during a firefight and chasing down the others. The place where these weapons really could make a difference is northern Algeria, where AQIM has conducted a persistent IED campaign for years against Algeria’s army, police and gendarmerie. But again, many open questions remain about the Sahelian AQIM’s relationship with the increasingly isolated north, as well as the viability of smuggling routes that might allow the group to move weapons to their brothers in the “Triangle of Death”, especially at a time when Algeria’s security forces and a certain U.S. military command in Stuttgart are undoubtedly watching very closely. Finally, this incident provides more evidence that, rather than seeking to run the revolt in Libya (as some members of the U.S. security establishment and Congress seem to want to believe), AQIM is using the chaos there to take what it can, before retreating to Algeria or Mali. No one has provided any indication that more than two or three AQIM members are entering Libya at any given time, and while they could be making contacts with rebels or other assorted jihadists for the purpose of fighting, it is just as likely that they are scouting the terrain, or laying the groundwork for other smuggling convoys. But as with so much in the world of counterterrorism and especially with regards to Libya and the Sahel, what we do not know far outweighs any shadows of information from open sources that pass for evidence. Caveat Lector. It is a frightening thought; an al-Qaeda franchise in the heart of Africa which has sworn to target European and American interests in the region, not to mention local governments, equipped with a growing arsenal of heavy weapons and even surface-to-air missiles. 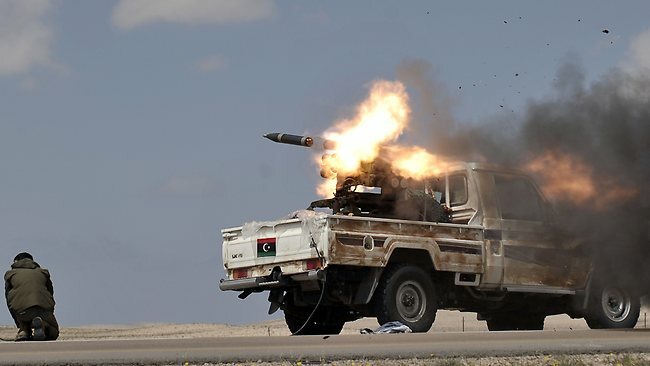 Two reports have recently suggested rather strongly that Al-Qaeda in the Islamic Maghreb (AQIM) had acquired truckloads of weapons from abandoned army stocks in Eastern Libya, including SA-7 missiles. This news has caused concern among commentators and officials, especially in the wake of NATO supreme allied commander Adm. James Stavridis’ testimony last week that U.S. intelligence had detected “flickers” of al-Qaeda among Libya’s anti-Qaddafi rebels, news that several Islamist former militants and a former employee of Osama bin Laden in Libya are playing key roles in Libya’s rebellion, and as writers dig back into the “Sinjar Records” documents from al-Qaeda in Iraq that showed an unusually high percentage of foreign fighters came from Eastern Libyan cities like Benghazi and Darnah, epicenters of the current rebellion. Yet before things get out of hand and people draw the worst conclusions about the admittedly real threat from AQIM to the region, these latest reports of weapons acquisition require a careful look, to determine not only what the impact of AQIM acquiring these weapons might be, but also if these reports can be trusted at all. If true (and I’m really not sure about this) the news is interesting and worrisome, but not for the reason many people think. While the specter of an al-Qaeda affiliate getting their hands on SAMs brings to mind the failed 2002 attack, the scenario described in the two stories imply instead that AQIM is hoarding the missiles in isolated strongholds in the Sahel (the Ténéré region in Niger and likely the Timétrine in Northern Mali) far from any high-profile airline targets. And while it’s not impossible that these weapons would be redeployed or re-sold, the effort that would have gone into transporting these weapons across several countries and thousands of miles of difficult terrain just to send them elsewhere. Instead, as I told journalist Paul Cruickshank last week, it is far more likely that AQIM would hold onto the weapons to defend against raids from helicopter-borne special forces troops, from France or elsewhere, which have been known to operate in Niger and Northern Mali and have staged at least two operations against AQIM forces, in July 2010 and in January 2011, where French forces rapidly deployed and attacked fleeing AQIM forces in Mali in a failed attempt to rescue two hostages seized 12 hours earlier in Niger’s capital of Niamey. This possibility also makes some sense alongside an interesting piece of information from North Africa analyst Geoff Porter, who wrote in an article for the CTC Sentinel in February that AQIM commander Mokhtar Belmokhtar had bought a .50 cal. DSHK (or “dushka”) anti-aircraft weapon. AQIM has become militarily more aggressive in the Sahel in recent years, and heavy weapons would indicate an increased desire to expand its operations, especially as its forces becomes increasingly isolated in northern Algeria. What is also interesting about the possibility of AQIM purchasing weapons taken out of Libya by smugglers (as the Reuters piece implies) is that it shows that despite releasing several audio tapes in support of the Libyan revolt (and despite reports of a limited AQIM presence in Libya), AQIM is using the chaos not to fight against the Qaddafi regime, but to build up their supplies and further reinforce their safe havens far from the Libyan jihad. That is, of course, if these reports are even true. Despite the widespread attention this news has received, the claims about AQIM seizing weapons come in large part from two sources, Idriss Déby and an anonymous Algerian intel officer. While Déby’s concern about AQIM may well be genuine, he has also developed a very close relationship with Qaddafi in recent years, to the point where, in the same interview with Jeune Afrique where he said AQIM had seized the SAMs, he also said he has been speaking with Qaddafi every day. As for the other source, it is silly to think that a senior Algerian official would speak about such a sensitive issue, and in such detail, without official sanction. And Algeria has taken a strong stance against foreign intervention in Libya, likely out of a calculation that more revolutions in North Africa are bad revolutions, as well as Algeria’s traditional opposition to foreign military involvement in conflicts in they’re back yard. Indeed, after telling the Reuters journalist about AQIM’s newfound weapons, the Algerian concluded that, “If the Gadhafi regime goes, it is the whole of Libya — in terms of a country which has watertight borders and security and customs services which used to control these borders — which will disappear, at least for a good time, long enough for AQIM to re-deploy as far as the Libyan Mediterranean.” The official concludes then that to prevent this eventuality, Qaddafi’s regime must be preserved, with or without Qaddafi. It is quite a reach to assume that AQIM is in any real way involved in the fighting, let alone that AQIM would be able to use the vacuum left by Qaddafi’s fall to take over a large swath of North Africa, especially given the fact that no estimate that I have seen puts AQIM’s numbers in the Sahel at more than several hundred, hardly enough to control swaths of territory that are far more populated than AQIM’s area of operations in the Sahel, all with hostile NATO forces watching closely and rebels who may not take too kindly to al-Qaeda stepping onto their turf for any other reason than to fight Qaddafi. Instead, that final quote casts some suspicion on the earlier missile claims, raising the possibility that the Algerian government is inflating or at least heavily advertising an AQIM involvement in Libya in order to discredit efforts in the West to overthrow Qaddafi or support the rebels. Additionally, this new information follows on what appears to be a rather crude attempt to forge an AQIM statement claiming that AQIM fighters were killed in a NATO air raid last Friday, analyzed quite thoroughly by al-Wasat co-editor Aaron. As Aaron points out, not only do the details of the statement appear to be inconsistent with standard AQIM statements, but it was released directly to the Algerian news outlet Tout Sur l’Algérie, and has not appeared on any jihadist forums or been confirmed by news reports. All told, this is more than enough to be suspicious of claims of AQIM of involvement, especially given the organization’s near-total radio silence on Libya over the past two weeks; no images of AQIM fighters alongside Libyan rebels, no testimony from Libyan AQIM fighters, no biographies of “martyrs” killed in combat, and thus far no video of seized weaponry.For an organization that generally produces astute media products, the failure to capitalize on clear openings to generate more credibility and support is a glaring failure. None of this is to say that the disparate reports of AQIM’s growing arsenal are false or staged. Such eventualities are entirely possible, and AQIM would certainly love to get their hands on more weapons. And AQIM’s recent silence could be an attempt to lie low in the face of Western pressure, for fear of being snuffed out or hunted before securing either a better role in the insurgency or a victory against Qaddafi. But the context surrounding the limited evidence of AQIM involvement in the Libyan rebellion or benefiting from its chaos is enough to make me seriously question these stories, as we wait for more concrete evidence. Last night, Tout sur l’Algérie published an article titled “Aqmi affirme que ses éléments ont été tués dans ce raid” (“AQIM confirms that its members were killed in raid”). The article stated that they received through anonymous sources a new statement from al-Qaeda in the Islamic Maghreb that said that some of AQIM’s fighters were killed in an accidental NATO airstrike on rebels this past Friday. Although it is quite possible that this occurred, there is reason to be skeptical. First, the statement has still not been released to the forums (at least sixteen hours have passed as of 1:25PM US Central Time). I also do not recall a time when AQIM released a statement to anonymous sources in the past. Second, the article provided a screen shot of the top of the statement and it did not conform to the normal style, color, and font of previous AQIM statements. Based on the above examples and when one compares it to the one posted by Tout sur l’Algérie one can see a clear difference. Further, the green text appears to be photoshopped on top of the alleged AQIM statement. There are other indications that it is not real. The first line of green text states the basmallah again, which does not make much sense since it is already articulated above, which suggests the individual who created it and tried to pass it off as real did a poor job trying to copy previous AQIM statements. The second line is the alleged name of the statement and translates to “Obituary of the Mujahidin in the Battle of “Bariqah.” Using the word obituary appears off and does not sound similar to jihadi lingo. One would think they would use the word shuhadaʾ (martyrs) instead. Since there is no clear evidence of who is behind this alleged statement and it has not appeared on the forums nor has AQIM released a statement refuting the information in the Tout sur l’Algérie article, at this point it would be unwise to point fingers. That said, based on what we know about AQIM there is strong evidence that the statement being trotted out was not actually from AQIM. The most recent issue of Terrorism and Political Violence was released in January. As usual, it had an excellent collection of articles. In particular interest to me was the one written by Manuel R. Torres Soriano “The Road to Media Jihad- The Propaganda Actions of al-Qaeda in the Islamic Maghreb.” I thought it would be worthwhile to discuss it briefly since it somewhat dovetails with the spirit of this website. Soriano provides a descriptive analysis of Groupe Salafiste pour la Prédication et le Combat (GSPC) and al-Qaeda in the Islamic Maghreb’s (AQIM) media strategy from 1998-2009. This article fills an important lacuna in the literature since many in the Anglosphere have not focused much on GSPC and AQIM. As such, it provides a solid foundation for future researchers to build off of it. One can divide GSPC/AQIM’s media output into three phases: (1) under the leadership of Hassan Hattab and Nabil Sahraoui following the break from Groupe Islamique Armé (GIA), 1998-2004; (2) under the leadership of Abdelmalek Droukdal prior to the merger with al-Qaeda, 2004-2007; and (3) post-merger with al-Qaeda 2007-2009. Soriano adroitly points out that following the GSPC split from the Groupe Islamique Armé (GIA), unlike the GIA who were producing a lot of materials through its networks in Europe, the GSPC did not sustain these efforts. This was because Hattab was more interested in consolidating leadership and acknowledging the break with the GIA due to its very toxic actions in the latter half of the Algerian civil war. Therefore, the media component of the organization was not important to him. The GSPC’s first media output was in 1999 when they released a poor quality VHS tape that showed an ambush of Algerian soldiers. In 2003, Hattab was removed as the leader and the reigns were given over to Sahraoui who was only in charge of the group for a short period (September 2003-June 2004). Sahraoui was more concerned with stemming fitnah (discord) within GSPC than building up a media arm. The second phase of GSPC/AQIM’s media endeavors began with the ascension of Abdelmalek Droukdal as the amir (leader) of GSPC. According to Soriano, “[he] accorded to the Propaganda Actions of Al Qaeda in the Islamic Maghreb group’s propaganda actions. The organisation’s new head had a much more ambitious vision of the role of communication within the overall group strategy.” At first, Soriano points out that the media operation did not change much due to lack of skilled individuals. That said, in October 2004, GSPC created its first website jihad-algeria.net. There was a huge gap between these efforts and the explosion of Abu Mus’ab al-Zarqawi’s, amir of al-Qaeda in Iraq (AQI) at the time, online presence during the same time period. Soriano points out a plea online from Abu Yasser Sayyaf, GSPC’s web-master, for any type of help, such as, uploading content and using different programs, which shows how far behind GSPC was technologically. Further proof of this amateurism was GSPC’s second video release “Apostate Hell,” released in September 2004. The video was only three minutes long and due to its lack of know-how, the watermark of the software they used, Honestech, was glossed over the video. Sayyaf’s excuse for this dismal media output as well as others in video and audio form was due to their remote locations in the mountains of Algeria. Soriano notes that 84% of GSPC/AQIM’s releases have been written communiqués and 85% of those have been less than two pages. Unlike other groups that wrote long doctrinal texts of their aqidah (creed) GSPC did not have much religious legitimacy or heavyweights in their group especially since traditional Muslim clerics like Yusuf al-Qardawi, Salmon al-Awdah and Safir al-Hawali produced fatawa (legal rulings) delegitimizing the jihad in Algeria. Furthermore, as a result of the wars in Afghanistan and Iraq where there were actual “crusader” militaries those conflicts took the limelight away from the Algerian theater. One example Soriano provides is the lack of excitement over GSPC’s creation of an online magazine al-Jama’a (the group) attempting to follow the model of the successful Sawt al-Jihad (voice of jihad) magazine produced by al-Qaeda in the Arabian Peninsula (AQAP) that at the time was strictly in Saudi Arabia and had yet to merge with al-Qaeda in Yemen, which occurred in January 2009. al-Jama’a was not highlighted by the key online jihadist websites. Soriano also points out that its biggest deterring factor was because the magazine mainly focused on Algerian issues versus the international problems of the ummah (Islamic nation) and other theaters of jihad. Another issue was with the credibility of the messaging from GSPC. Sometimes the forums published content that purported to be GSPC propaganda that actually was not directly from GSPC’s media wing. Soriano expanded upon this by stating: “A lack of coordination and the problems of communication between the different cells, the lack of authority exercised over certain elements that had split from the group or ‘‘orbited’’ around it, and the repercussions of the ‘black propaganda’ waged by the Algerian intelligence services forced the group to issue public denials of the authenticity of content broadcast in its name on several occasions.” As such, although GSPC’s efforts during the second phase to broaden its media apparatus allowed it to release more content than in the first phase, they still ran into a lot of difficulties along the way. GSPC’s media fortunes began to turn around when al-Qaeda central (AQC) officially announced a merger with GSPC and they became AQIM. Immediately, AQIM’s media apparatus produced more content with better quality. Soriano attributes this change to AQIM following AQC’s model of “untiring” media output. Another key factor was the influence of AQI. Soriano also surmises that more media production could have been compulsory for GSPC if it were to merge with AQC as an official branch. That said, the steep upward tick in production value might have also to do with AQIM outsourcing its media production to Europe similar to GIA in the 1990s since the above examples I am unsure completely explain the huge change in a relatively short period of time. Lastly Soriano says that it was also a way for leadership to assert its power over some dissention that was going through the ranks that were not consulted and were also against the merger with AQC. Furthermore, AQIM started to cultivate relations with top online jihadist fora to release their content as well as the jihadist distribution company al-Fajr (dawn) Media. Nevertheless, AQIM was still plagued with issues of unauthorized messages being released under its name. As a remedy, in October 2009, AQIM created al-Andalus Institute for Media Production to better authenticate their content so individuals couldn’t post information that wasn’t directly from AQIM. Soriano concludes the article by drawing a comparison between AQIM and AQC when they created their own media production apparatus As-Sahab (clouds) Institute for Media Production, also as a way to breathe new life in their media efforts and communications strategy. This article provided important descriptive insight into the nature of GSPC/AQIM’s media strategy between 1998-2009. There are some areas, though, where further research could build off of this by either Soriano or another researcher. To go a step further, it would be worthwhile for one to look deeper into the content produced by AQIM and provide a textual analysis of their variety of communications over the years. Another interesting project might also try and compare descriptive analyses of the media histories of AQC, AQAP and AQI and determine whether there are any tipping points for each groups emergence as a larger player in the jihad field as well as other metrics that could help researchers and governmental officials measure the importance or impact of a rising or fading jihadist organization. That said, overall, Soriano’s article “The Road to Media Jihad- The Propaganda Actions of al-Qaeda in the Islamic Maghreb” is an excellent first step in developing more empirical research as it relates to the media jihad and further detail of AQIM in the English speaking world. My apologies for the long blog absence, work and a clear inability to write after 8 pm have been intervening. However, this will change, oh ye faithful al-Wasat readers who for some reason keep checking the site. On Thursday Wednesday news broke that a 56 year-old Italian woman, a tourist traveling in the Southern Algerian Sahara about 130 km south of Djanet, had been kidnapped by 14 or 15 (reports differ) armed men along with her guide and cook (who were later released). The kidnappers let their victim use their Thuraya satellite phone to dial her tourist company, which then alerted the relevant authorities. They then proceeded to hustle away from the scene of the kidnapping, sources indicate towards the border with Niger, according to AFP. 2) Early reports indicate the kidnappers were cigarette or drug smugglers, not AQIM. This is not entirely surprising, given that the kidnapping industry in the Sahara and Sahel have never been a solely AQIM or GSPC-driven phenomenon, and the security improvements in the region have not and will not likely ever be able to stamp out the centuries-old and well-entrenched smuggling networks that criss-cross the region. Several past kidnappings have involved the use of subcontractors or unaffiliated groups who conduct kidnappings and then sell their victims to AQIM for a cut of the fee.If the victim ends up in the hands of AQIM (and I sincerely hope she doesn’t), we will have once again witnessed this process at work. [UPDATE: The Algerian daily El-Watan has two new pieces on the kidnapping (here and here) indicating that, according to locals and the tourist’s guide, the kidnappers were AQIM (see Priffe’s comment below). According to these reports, one kidnapper, his face uncovered, spoke to the tour guide in Mauritanian Arabic, and when asked who they were, said, “We are from Al Qaeda in the Islamic Maghreb). The reports also raise the question of an inside job, since according to El-Watan this part of Algeria is very secure. I had separately heard reports that the tourist was outside the “safe zone” so if the readers have any illuminating comments, please share. 3) The Italian government reacted swiftly to the kidnapping, but not in a way France, the United States or Algeria will like. In a public announcement, the Italian Minister of Foreign Affairs said (my translation), “We have asked the Algerian interlocutors to not take any action that could endanger the security of the Italian citizen.”This is a pretty clear “no rescue” statement, and unless Nigerien security forces manage to track down these kidnappers, it means we are likely to move towards a long process of hostage negotiations and potentially an eventual ransom payment. Italian authorities claim the release of the last Italian hostages kidnapped in the region in 2009 came about due to “complex political and diplomatic negotiations,” but no one knows whether or not a ransom of some variety (money or prisoners) was worked out in secret. This most recent incident raises once more the difficult question of how to react to and prevent kidnappings in the region, one goes beyond the simple dichotomy of ransoms vs. rescues that Alex Thurston has now dealt with quite admirably here and here, posts that deserve both a careful read and a lengthier response than I can give here. Suffice it to say for the moment that this kidnapping shows once again that such crimes are an industry in the region, one that co-exists alongside cigarette smuggling, drug smuggling, human smuggling and other forms of nefarious money-making. And as long as such activities can draw in money and regional forces cannot secure these vast areas (a truly Herculean task) such kidnappings will continue, albeit at a reduced rate as tourism in the region drops and Western organizations pull their citizens out of the region. I will keep an eye on the news as this story develops, and post news and corrections as more information emerges. The proposed model law should be “expandable and comprehensive, featuring all the necessary legal procedures to prevent and combat terrorist acts, including the criminalisation of terrorist acts, establishment of channels of co-operation, enhancement of surveillance on the border, exchange of intelligence, judicial cooperation and combating terrorist financing,” [Algerian Minister for Maghreb and African Affairs Abdelkader]Messahel added. He also pointed out to the need to incorporate international agreements and the relevant UN Security Council regulations into the new bill. 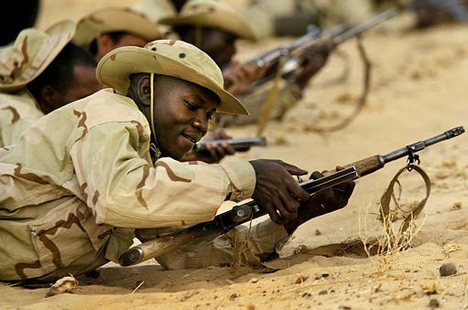 Some countries are hoping this law will encourage African co-ordination on the anti-terrorism front and get past the problems that impeded regional collaboration, especially with regards to extraditions. 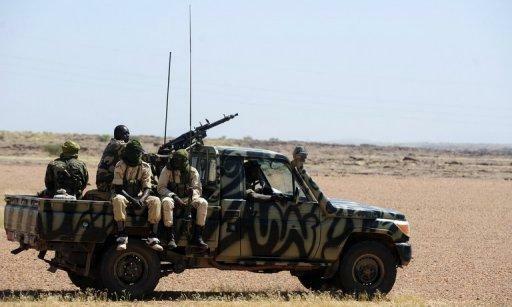 Algeria and Mauritania have both criticised Mali for releasing terrorists, including suspects wanted by the Algerian judiciary, who were detained by Mali. Bamako released those wanted terrorists as part of a deal to free Pierre Camatte, a French hostage detained by AQIM. Stating the obvious, but… This is excellent news for those worried about the rise of terrorism in Africa. It shows that African countries are taking the threat seriously and therefore are willing to go to new lengths to cooperate, including binding themselves in an international convention. Needless to say, to efficiently combat transnational terrorism, international cooperation is a must. the law “will have to be comprehensive and complete and provide all legal measures to prevent and fight terrorist acts, including the criminalisation and penalisation of terrorist acts”. The model bill is seen as a “comprehensive tool” aimed at directing and guiding Africa in the counter-terrorism field, especially through the unification of legislation, according to AU Peace and Security Commissioner Ramtane Lamamra. He added that the matter was primarily related to the enhancement and implementation of the principle of international law as represented in “pursuit or extradition” as soon as the “terrorist” acts are recognised as punishable on the international and African levels. Although such an approach has shown its limits in the past, such as in the Lockerbie case (PDF file) that opposed the United States and the United Kingdom on one side, and Libya in the other side, it is still a safe and proven system that has its share of advantages and that is greatly geared towards international cooperation, especially in judicial affairs. The aut dedere aut judicare principle is the framework on which all other international counterterrorism conventions are based. Two noteworthy differences should be pointed out about the African Union draft convention: first of all, it is regional, which makes it almost unique. Indeed, to my knowledge, only the European Union has adopted so far a regional instrument to harmonize their efforts in counterterrorism, namely the Council Framework Decision of 13 June 2002 on combating terrorism. Secondly, this convention is comprehensive. And that could open the gate to a lot more. The lack of an internationally accepted definition of terrorism has forced the international community to abandon the idea of a comprehensive international legal instrument to fight terrorism, and to adopt a “sectorial” approach: thirteen different counterterrorism conventions, each addressing a different aspect of combating terrorism as terrorism has evolved over time, from the 1963 Convention on Offenses and Certain Other Acts Committed On Board Aircraft to the 2005 International Convention for the Suppression of Acts of Nuclear Terrorism. What will be particularly interesting to watch once the African Union convention is finalized is what definition is adopted by African states in order to harmonize their criminalization of terrorism – a necessary step in the law enforcement approach, and announced by Minister Messahel – and whether the African consensus on a definition could lead the way – and offer the political impetus – to obtain a long-awaited international comprehensive convention against terrorism, which would without a doubt strengthen international cooperation in the global struggle against terrorism. Thanks to Catherine Minall for mentioning this recent development to me last week, and to Caitlin Fitz Gerald for her help error-hunting. C. A. Bahan, “International Terrorism: The Legitimization of Safe Harbor States in International Law” (2010) 54 NYLSLR 333, 338. Last Thursday al-Jazeera broadcast a tape attributed to AQIM leader Abdelmalek Droukdel, demanding the withdrawal of French troops from Afghanistan as a condition for the release of seven French, Togolese and Malgache hostages currently held in northern Mali (UPDATE: Aaron has the tape in English here). But then, when he said that any negotiations for the hostages had to “be done with no one other than our Sheikh Osama bin Laden… and according to his terms,” well, that was something new. While it makes sense to invoke bin Laden, AQIM’s nominal leader after the then-GSPC swore allegiance to al Qaeda in 2007, it seems a bit odd to designate him as an intermediary in hostage negotiations, something that has not been done in previous AQIM kidnappings (or any kidnappings and other activities, for that matter). This statement comes at a time of relative inaction on the hostage front; after an immediate French military buildup in the region in September, the hostages were reportedly dispersed in different groups, and last week incoming French Defense Minister Alain Juppé said that France has been in contact with AQIM, presumably in view of some sort of negotiated release. Though new French Foreign Minister Michèle Alliot-Marie quickly added that, “France will not accept that its policy is dictated to from outside by anybody,” Droukdel’s statement had already caught the attention of both the francophone and anglophone press. As Aaron pointed out, Droukdel’s language mirrors bin Laden’s, linking France’s security to its withdrawal from the war on a precise deadline. People I respect have privately raised the possibility that the likeness between the statements, as well as the sudden prominent referencing of AQIM operations by al Qaeda leadership and vice-versa, could indicate either some level of coordination between the two organizations or at least a desire for one. However, I think that in the absence of other evidence, mutual public recognition by the groups are instead an attempt to expand AQC’s reach (as I discussed here), while for AQIM these statements are part of a larger attempt to reform the organization’s public image and tap into the legitimacy still held by AQC and bin Laden. AQIM has a fairly well-deserved reputation for its kidnapping and other criminal (drug running, human smuggling, etc…) operations, but it’s military operations, in decline since 2007, do not compare to those of other AQ affiliates such as AQAP. By explicitly linking itself with common themes of “classical” jihad, to use Thomas Hegghammer’s term, AQIM is likely trying to skirt its reputation and operational history, and frame all of its operations, even the kidnapping of foreigners, as jihadist operations with religiously-sanctioned aims. In fact, AQIM has been pursuing this line specifically with reference to its hostage operations for at least several months; in an initial message after the September 16 Niger kidnappings, an AQIM spokesman claimed that the kidnappings were a reaction to foreign efforts to take the wealth belonging to Niger. This again is a clear attempt to set AQIM up not as a kidnapping-for-ransom organization, but one that defends Muslim wealth against foreign aggressors, an idea that fits neatly within the acceptable bounds of “classical” jihad. The other impetus for AQIM pushing its association with bin Laden is likely the group’s continued marginalization in Algeria, despite the growth of its reach and influence in the Sahel. The northern AQIM branch remains largeley contained in Kabylia, where Droukdel is believed to be hiding, and the increased income and recruitment of the Sahelian AQIM has not changed this fact. The Algerian news site Ennahar ran an interesting story earlier this month that three members of Abou Zeid’s group were picked up near the southern Algerian city of Tamanrasset, carrying $100,000 supposedly meant for Droukdel. If this story is true, it shows the isolation of the northern AQIM, in that its fundraising efforts are in part dependent on the operations of semi-independent groups situated far away from northern AQIM’s combat zone. The tape also has to be understood within the context of speculation that AQIM is increasing its operations in Europe, or at least gearing up for eventual operations there. Italian authorities last month rounded up what looked to be a bomb-making network at least tangentially connected to AQIM, and the arrests in France of five Algerians allegedly plotting to attack the rector of the Paris Grand Mosque have led some to argue that AQIM is becoming more of a threat to Europe. But many experts agree that AQIM is not yet ready to set up networks or attacks in Europe (whatever their ambition might be), and readers should not conflate Algerians or other North Africans with AQIM; one of AQIM’s great failures has been that it has not been able to demonstrably tap into recruitment networks in France, and interestingly it seems that the one member of the Grand Mosque plot to train abroad went not to the Sahel or Kabylia, but to the Afghanistan-Pakistan border region. AQIM has been singularly unable to draw large number of recruits to its jihad, in large part because despite the name change, AQIM is still seen by many as an Algerian group dedicated to fighting the Algerian government. By talking more about bin Laden, Abdelmalek Droukdel wants desperately to show that his organization is a true member of al Qaeda, not just the one-time GSPC. For fear of too-closely echoing Aaron and quickly making this blog a forum only for angry ranting and ad hominem attacks against noted and widely-published, respected figures, I want to make clear that what follows is not so much an attack as a plea for better citation of evidence as well as a fairer discussion of context when dealing with Sahelian politics. Caveat Lector. And then, with, “This is because al-Qaeda in the Islamic Maghreb (AQIM) in the Sahara-Sahel was a creation of the Algerian DRS (Direction du Renseignement et la Sécurité) with its three main emirs in the Sahara-Sahel – Abdelhamid abou Zaïd, Yahia Djouadi and Mokhtar ben Mokhtar (all with many aliases) – being strongly suspected of being DRS agents,” Keenan promptly lost me. I’ve never been a particularly big fan of this theory. On the one hand, there has been consistent suspicion for years that the DRS, the main Algerian intelligence service, was working with Islamist terrorist groups in some fashion. Notably former Algerian and French officers as well as some writers and even other jihadist groups have accused the DRS and various army units of at least some coordination with, if not infiltration of, units of the hyper-violent Groupe Islamique Armée (GIA) during Algeria’s civil war, and the treatment of certain key militants in more recent years has continued to fuel speculation about dirty tricks and terrorism in Algeria. For instance, the former commander of the GIA splinter group (and AQIM forerunner) the Groupe Salafiste pour la Prédication et le Combat (GSPC), Abdelrazek el-Para, has still not seen a court room despite having been arrested in Chad in 2004 and ruled by a court to still be at large when he had been, for several months, in the custody of Algerian authorities. He has since renounced terrorism, and not been punished. And the first GSPC leader, Hassan Hattab, currently lives freely in Algiers after having broken with the group in 2003 and renounced terrorism several times in the past years, despite at one point being subject to a death sentence for his role in the anti-government insurgency, and threatened with death by his former compatriots. For some, this anecdotal evidence (evidence of what, I’m not quite sure) is enough to suggest that the Algerian security services are in league with AQIM. While this isn’t impossible, and the DRS and Algerian military were certainly responsible for horrible things and nasty coverups during the civil war and after, there’s simply no real evidence that these ties exist. Now, absence of evidence is not by any means the evidence of absence, but the available information does not allow one to make claims such as, “The DRS created AQIM” especially when AQIM sprang from the GSPC, which was in turn a reaction to the insane violence of the GIA, which itself was founded by a group of “Afghan Arabs” who eventually took over from a host of other armed militant groups waging war against Algeria’s government in 1992. You get the picture. This is something Keenan does fairly regularly, asserting as fact the idea that the DRS created and to a certain extent ran or still runs AQIM, but without any sort of specific or even general sourcing for his claims or reference to specific other people who agree with him. Between the end of 2008 and this year, as the group’s estimated strength increased from around 200 to some 300 to 400, its composition changed. As young Mauritanian Islamists have become increasingly attracted to the Sahara Emirate, as they call it, so they have come to outnumber Algerians, possibly diminishing DRS influence and control over the group. Indications are that AQIM recruitment from young and more ‘Islamist’ and ‘jihadist’ elements in the region leapt in the wake of the disastrous Franco-Mauritanian raids into Mali on July 22, ostensibly to liberate the French hostage Michel Germaneau, and again after September 16 when France’s ally (‘proxy’) Mauritania, which had joined France in ‘declaring war’ on AQIM, was given a very bloody nose by AQIM fighters at Ras el Ma (west of Timbuktu). Keenan’s assessment of AQIM’s changing composition fits with reports from the region, the increased pace of attacks against Mauritanian civil and military targets stretching back several years, and AQIM propaganda, which has tried not only to showcase the group’s increasingly diverse (and increasingly Moorish) composition but to attract more Moors, as well as Haussa speakers and Tuareg. That said, Keenan’s point about changing AQIM recruitment targets and composition undermine his image of a DRS-controlled or -infiltrated AQIM; if Belmokhtar, Abu Zeid and Djouadi are all DRS agents, why would they recruit in a way that would, as Keenan put it, diminish DRS influence? And would the all-powerful DRS continue to tolerate an increasingly dangerous, large, and wealthy organization slide out of its control? And even assuming that the origins of AQIM are as Keenan suggests, his own point about the organization’s changing structure would suggest that the group is becoming more localized and more organic to the Sahel. This in turn means that AQIM could pose a genuine regional threat, a fact and flaw in his argument that Keenan refuses to address. Most of Algeria’s neighbours have recently begun to accuse it of being in some way responsible for the development of the AQIM ‘terrorist’ threat in the Sahel. Cheikh El Moctar Ould Horma, Mauritania’s minister of health, recently ‘suggested’ that Algeria was the ‘porte-parole’ (spokesperson) for AQIM; elements in the Moroccan media have accused Washington of appeasing Algeria in its relationship with and use of AQIM as a ‘terrorist’ organisation; a senior member of Mali’s security forces accused the DRS of being ‘at the heart of AQIM’; Niger is angry with the role played by Algeria’s DRS in the political destabilisation of its northern regions; while Muammar Gaddafi, Libya’s leader, has suggested euphemistically that the problem in the region is Algeria’s DRS. Again, we have the problem of broad statements made without any hint at the evidence (or, in the case of Niger, a statement made about an entire government in one line). But more importantly, Keenan makes this statement and then fails to acknowledge the general reasons why various countries in the region are upset with Algeria that don’t have to do with Keenan’s claims about Algeria creating AQIM, or the specific motivations behind the statements. Let’s start with the regional context; Algeria has by far the largest and most combat-tested military in the region, and specifically in the Sahel likes to throw its weight around. While there has been cooperation between the major Sahelian countries (Mauritania, Mali, Algeria, Niger) and others on counterterrorism issues, including various intelligence and military discussions as well as the creation of a joint military headquarters at Tamanrasset, in southern Algeria, Algeria often does not see eye-to-eye with its neighbors on AQIM, ransom payments for hostages, and more. 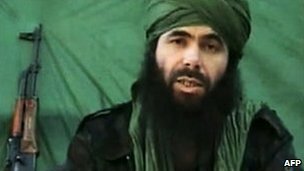 More locally, Algeria has been critical of Mauritanian anti-AQIM operations in Mali, lashed out in July against Franco-Mauritanian operations against AQIM as well as cooperation between Mauritania and Mali on ransom payments that led to the liberation of two Spanish hostages in exchange for AQIM-linked kidnapper Omar al-Sahrawi (and several million euros). More recently, Algeria rather petulantly ridiculed the “incompetence” of the Malian army in fighting AQIM on their own territory. But more important to understanding the context behind anti-Algeria statements is one of the seminal issues in the Sahel, the presence of the various Tuareg populations that reside in it. Relations between Algeria and Mali have been tense for several years in part due to Algerian intervention over Mali’s trouble with its Tuareg; Algeria helped negotiate an end to Mali’s most recent Tuareg rebellion in 2006, and has since been pushing (directly and in the Algerian press) for more Tuareg autonomy as well as the arming of Tuareg in order to help keep security in northern Mali, something that is part of the Algiers Accords that ended the conflict, but understandably worries Mali. In Niger the same is true, where in the wake of a more recent Tuareg rebellion both Algeria and Libya have tried to take leadership roles in “settling” the conflict, raising the prospect of more money and support going to Nigerien Tuareg, to the detriment of the Nigerien government (especially in the wake of September’s kidnapping, which led some to ask if Niger’s Tuareg, in the absence of government support and money, are being radicalized by AQIM). And then, of course, there’s Morocco. While the now decades-long animosity between the two is due to the conflict in Western Sahara, and Algerian support for the pro-independence Polisario front, Morocco has for the past several months attempted to use terrorism and AQIM to propel themselves into a position of influence in the Sahel. Moroccan media sources and friendly writers and “experts” have been talking increasingly of late about links between the Polisario and AQIM, even though there is little or no evidence of any linkage beyond a few scattered Sahrawis joining or partnering with the group. By establishing a link between an Algerian-supported group and terrorism, Morocco stands to gain several very real benefits; among other things, this link could get Morocco access to counterterrorism money that the EU and U.S. are pouring into the region, threatening the credibility of Morocco’s negotiating adversary in talks about the future of Western Sahara (in addition to strengthening Morocco’s case for their “autonomy” proposal which guarantees Morocco’s right to guard Western Sahara’s borders) and undermines confidence in Algeria’s anti-terrorism leadership. Gaining inclusion into the terrorism debate in the Sahel also gains Morocco access to regional counterterrorism forums, such as the recent G8-sponsored summit in Bamako, which Algeria predictably boycotted because of Morocco’s presence. None of this is to say that other countries do not have reason to be pushing back against Algeria for their own efforts to assert their place in the Sahel and against AQIM; rather, it is to demonstrate just a fraction of the incredible complexity of the power dynamics in the region, which covers the fighting between regional powers (Algeria, Libya, Morocco) for influence and power, amongst both Western and Sahelian countries, long-running power struggles between Morocco and Algeria, internal and inter-Sahelian conflicts that touch Mauritania, Mali and Niger, and the ongoing efforts of these countries to defend their own sovereignty against outside intervention. With all of the countries (and the West) concerned about terrorism in the region, it makes sense that the threat of terrorism could be wielded in public as a response to a whole host of conflicts. Instead, Keenan simply takes these claims at face value in order to criticize Algeria, without looking at any of the underlying motivations each state might have to play the terrorism card. This is at heart my greatest issue with Keenan’s writing, his unquestioning acceptance of accusations that benefit his argument without any exploration either of the truth of his evidence or the varied and shifting motivations of outside actors for talking about terrorism the way they do. Sourcing, context, and questioning are an analysts’ friend, and in the absence of those three Keenan becomes an advocate at best, a polemicist at worst. And until that changes, his work should be read with an eye not to what Keenan argues, but rather to what he leaves out.